Christian Carlin began his artistic career studying art history and painting at University. Learning from the Flemish Masters, he spent time studying their techniques in order to inform his own painting. After spending time at university honing his skills, he began focusing more on the execution of his ideas and the development of his own unique style and approach. After much experimentation and determination, Carlini has found a happy balance in his works. 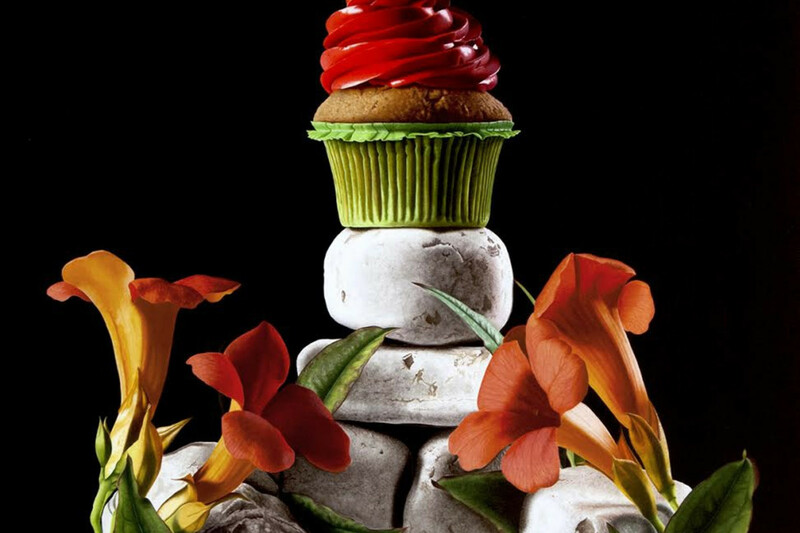 Recurring motifs in Carlini’s work is stones and cakes or fruit, which are an odd combination to see in a still life. 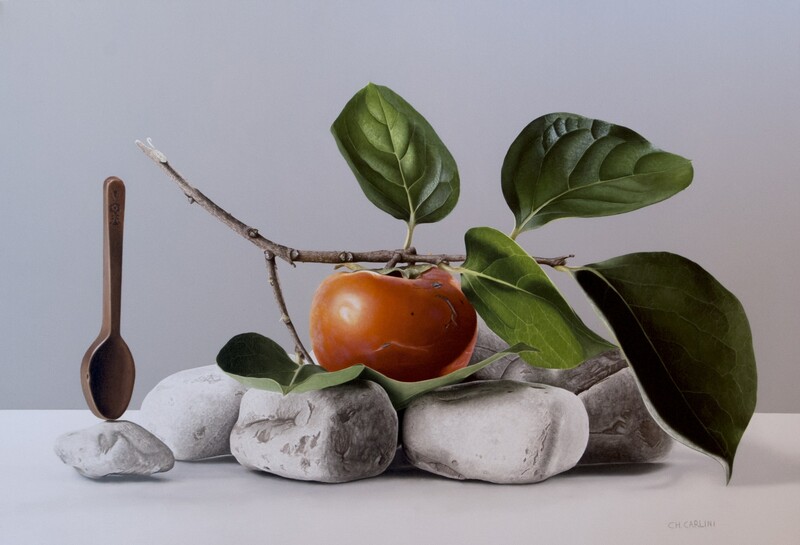 WORK: Carlini’s work merges traditional Flemish still lifes with a metaphysical influence from Salvador Dali.The mix of realism, surrealism and metaphysics that Carlini combines in his paintings make these unique still lifes. Carlini starts by sketching out his composition and then begins by filling in the drawing with colour, making sure all the hues transition smoothly as this is the foundation of the painting. He then goes on to the second coat of paint to balance out all the chromatic nuances and starts to fill in the painting making the subject appear vibrant and more three dimensional. This step is the most important one. He mixes all the colours in oil paints giving priority to lights and shadows in order to create the right and real colour combinations. The final step is to go over the painting one last time so it appears high definition. This means refining and improving the lines and colours of every millimetre of the paint.